I run the 5 or so miles from my parents' house at Aston to work this morning and afterwards my calf is a bit stiff. It was certainly very cold this morning and the cold does seem to disagree with my muscles but I thought I’d warmed up properly and worn plenty of layers. I will reassess it later. 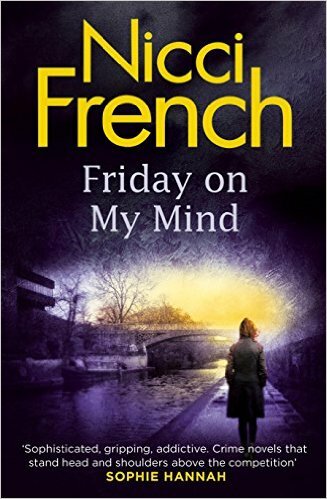 I’ve also finished the latest Frieda Kleine novel, Friday on My Mind by Nicci French. It’s a dreadful book apart from the last chapter, which has made me want to read the next one now. L says she was heartily sick of the woman by the end of the last book. Me too! A pub lunch today and on the Railway Porter. Which should be good for the calf muscles. I decide to truncate tonight’s run back to my parents and agree to meet my Dad at the Blue Jay on Raynesway just to be on the safe side with Paris coming up. It's just a short jog from work to get there. It wouldn’t be worth dragging my Dad through all the traffic to pick me up from work. L is impressed at how sensible I am being but is very suspicious at the same time. It’s just a lumpy calf. Nothing serious. I’m a very sensible person you know. There’s a match tonight and Derby scrape a 1-0 win. It’s still cold but it’s probably warmer at the match than it is in the kitchen at home. L reports that MD is insisting on having the door open. She is soft with that dog.